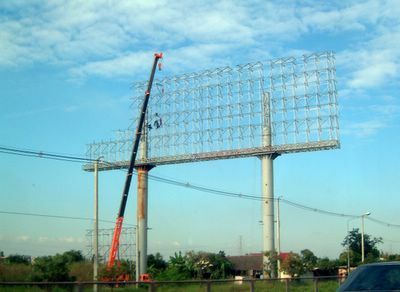 The construction of signs in Thailand. Compare the size of the people in the picture to the overall size! 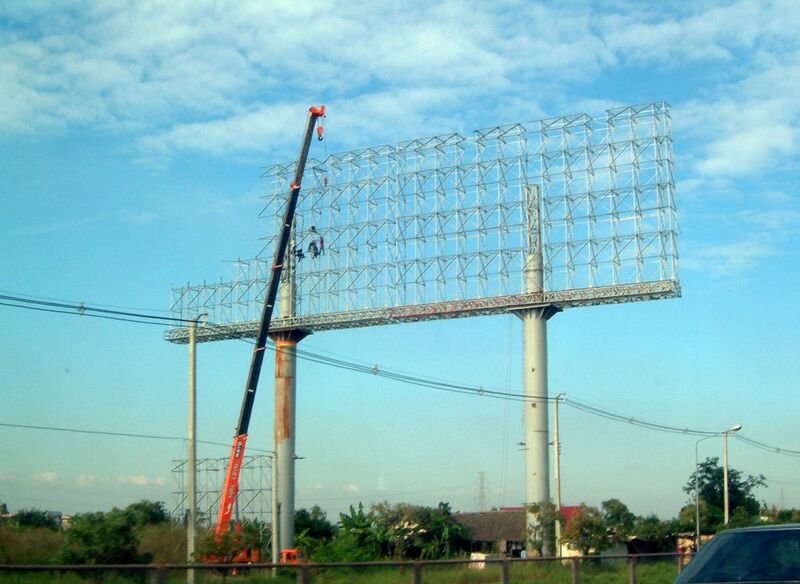 The size of the average road signs around Bangkok are more close to the size of a football field.